Like professionals in any industry, those working within the wholesale lumber industry need to keep up with current issues and trends affecting their legal obligations and profit margins. Among the issues facing wholesale lumber dealers, lumber importers, and exotic hardwood dealers today is the recently heightened U.S. requirements to reduce the chances of illegal logging. While prior to 2008, the U.S. lagged behind other nations in its efforts to quell illegal loggers, revisions to the century-old Lacey Act represented a pivotal change in such seeming nonchalance about the issue. 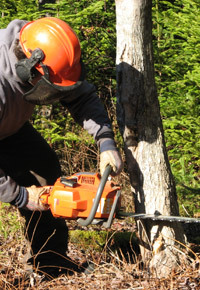 The 2008 revision to the Act basically added the logging industry under its umbrella. “The U.S. has leapfrogged and taken the most significant steps toward addressing illegal logging,” said David Groves, a representative of the Environmental Investigation Agency. Post-revision law affects more than those involved in illegal harvesting responsible — it also allows for prosecution of any and all individuals or companies involved in the supply chain. 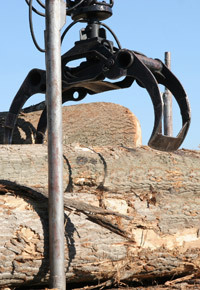 The new Lacey Act provisions allow the government to seize any wood products made from illegally harvested lumber. Of course, exotic hardwood lumber has the greatest risk factor, of any wood. According to Tom Inman, Appalachian Hardwood Manufacturers Association President, one year’s worth of U.S. export sales lost due to illegally sourced lumber adds up to about $460 million, representing an overall estimate of over 10%. One high-profile company repeatedly investigated for possible lumber-related Lacey Act violations has been Gibson Guitars. In late August 2011, federal agents confiscated pallets full of electronic files, guitars, and wood. The supposedly illegal importing of Indian sawn ebony logs for which Gibson has been cited represents the second seizure of Gibson guitar parts within the past 2 years. The first violation arose in November 2009, when government officials seized guitars and fingerboard blanks made from potentially tainted Madagascan rosewood and ebony. Despite seemingly clear-cut allegations, the CEO of Gibson maintains the company’s innocence and proposes that the issue involves international legal conundrums and invalid interpretations of Indian law. One of the deciding factors of the case hinges on where the wood was finished; if it had been finished in India, no violation would be in question. Not only does the Gibson case provide a lesson in how detailed the Lacey Act requirements can be, but it also proves to be a reminder: Claiming ignorance of international laws is no excuse. Because the wording of the Lacey Act extends responsibility for tainted wood products to the end-product consumer, the potential seizure of Gibson Guitars’ instruments could come up. Such a drastic step would be unlikely, but Gibson’s warnings do seem to be getting some attention. Other tactics by the company’s CEO include blaming politics for the raid and back-handed name-calling techniques in misguided attempts to conjure public sympathy. 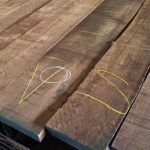 For lumber importers and exotic hardwood dealers, this case serves as a timely reminder of the allowances of the law and the fact that it can and will be enforced. For consumer’s it should provide impetus to go with trusted wholesale lumber dealers with proven track records for compliance. J. Gibson McIlvain, an importer and seller of exotic and domestic lumber, is one.